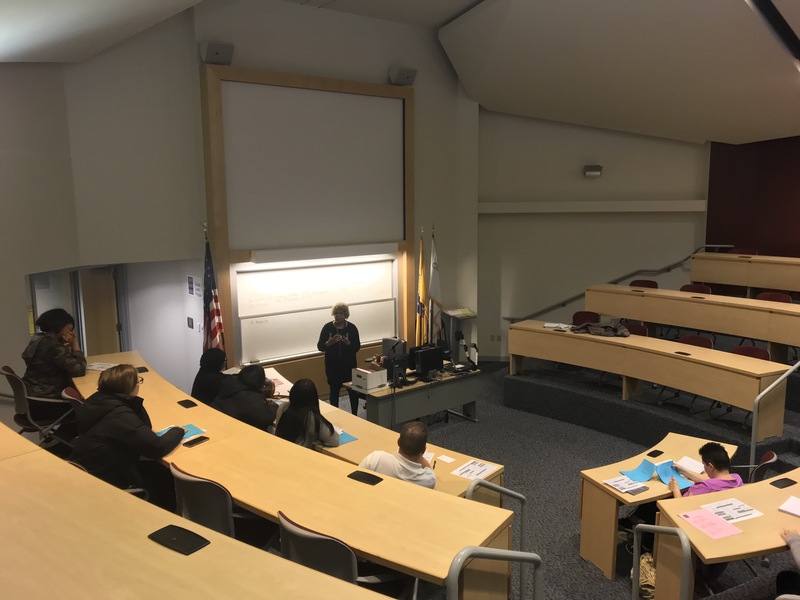 BLACKWOOD – Camden County College on Dec. 3 hosted an information session for students interested in the nursing program. Nine students attended the session, which took place from 4 to 6 p.m. in the Connector Building. Faculty nursing advisor and coordinator Robynn Anwar and Rutgers University-Camden School of Nursing lecturer and pre-nursing adviser Cheryl McLaughlin conducted the event. The two provided students with information about the nursing programs at CCC. Nursing students typically attempt to meet their pre-nursing requirements and obtain their diploma in nursing, giving them the title of a registered nurse, better known as an R.N. According to the 2018 Camden County College Academic Guide, students have the option to enroll in the Our Lady of Lourdes Cooperative Nursing Program. The completion of this program will give students the preparation needed to pass the National Council Licensure Exam (NCLEX) to become an R.N. For more information about nursing information sessions and nursing programs offered at CCC, visit Anwar in Halpern Hall Room 329 or email her at ranwar@camdencc.edu.